Happy Valentines Day! If your like me and freaking out that Valentine’s day is one day away, I got your back. What better way to show your love than with chocolate, homemade chocolate. 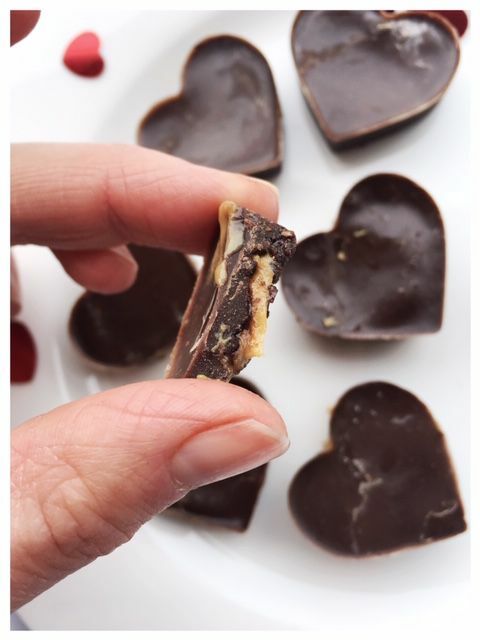 These chocolate peanut butter hearts are so easy peasy to make and not to mention delicious. 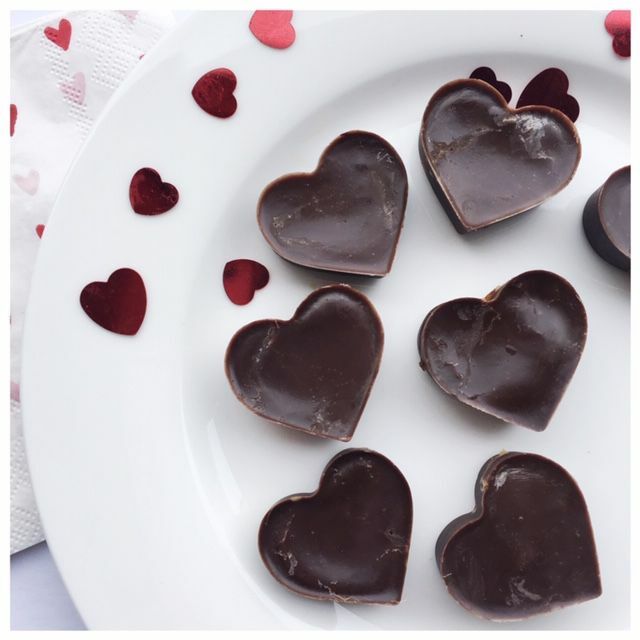 These chocolate peanut butter hearts are perfect for Valentines day. Easy to make chocolate hearts for your love one! Whisk coconut oil, cocoa powder, and maple syrup together. Add approximately 1 tsp chocolate mixture to mold. Add 1 tsp peanut butter to the center of the chocolate mold. Add another tsp of chocolate mixture on top of the peanut butter. 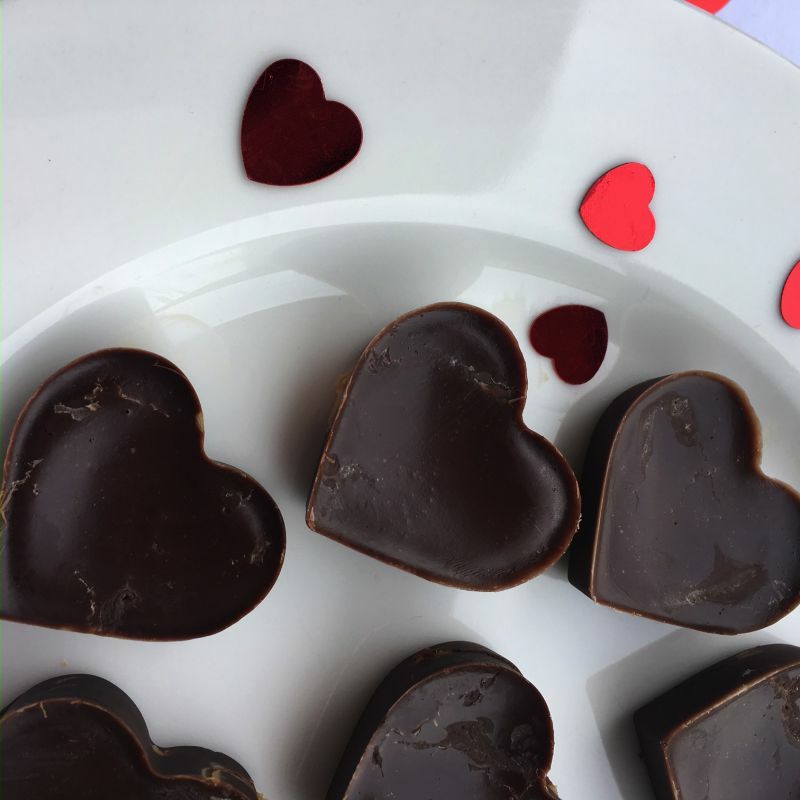 These chocolate peanut butter hearts are versatile. The girls and I made them with peanut butter but you can easily make them with almond butter or cashew butter or if your looking for a nut free version sunflower butter. I used cocoa but if you prefer milk chocolate, I would recommend trying these homemade reese’s peanut butter cups from the comfort of cooking. I found heart mold’s at Michaels craft store but you could easily put them in mini muffin tins.